Great 1st time offer, your 1st draw 100 percent money-back. 21 official national lotteries & 3 Millionaire raffles. The website is simple to use for new players. Fewer lotteries than our other ticket agents. Conga Lotto comparison & review: Introduction. Conga Lotto states on its website. “Buying tickets from Congalotto.com is like shopping online at any other website”. Our team at Play lottery online found this claim to be true. . We loved the 100 percent money back offer on your first draw. 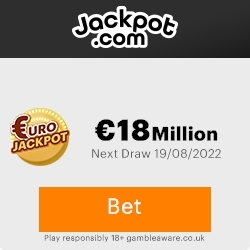 This gives you a chance to play any of the 21 lotteries with very little personal risk. For the casual player or players wishing to dig deeper into online lottery, this is a fantastic offer. And looking at the feedback from Conga Lotta’s many players worldwide security and reliability on payouts are solid. Upon entering Conga Lotto’s website. You are greeted with the usual options and news feeds. Where Conga Lotto differs is it also supports Millionaire raffles. Very few agents do this!! Two of these we feature in play lottery online top picks. Though the website is not as comprehensive as some of our agents. The focus here is on playing and ease of use. Once you have signed-in and activated you account. Conga Lotto’s dedicated agents will purchase the physical lottery tickets on your behalf. At a official lottery retail location. Conga Lotto’s team stores the actual ticket in a safe box. When it becomes a prize-winning ticket. You will notified by email immediately. Instructions will then be given to collect the money. And make a fast secure transaction to your bank account. To play today you just sign up. Choose from the national lotteries you wish to play. Select the numbers you would like to win. Congalotto will take care of the rest for you. Conga Lotto has a solid history of over 8032 winners, paying out over $1,257,539.25 worldwide. The different lotteries at Conga Lotto. With tickets and information and news for the biggest official national lotteries. 21 in total. 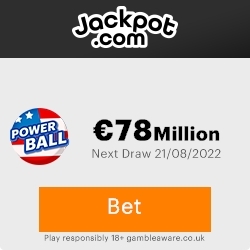 Including Mega Millions, Euromillions, SuperEnaLotto, California Super Lotto. Oz lotto, UK National Lottery, La Primitiva. As well as up to the minute results, Jackpot wins and lottery news and an email newsletter. Language support is in eight languages including English, French, German, Danish, Spanish, Italian, Russian and Portuguese. Conga Lotto Review & Comparison: Conclusion. Our conclusion is that that Conga Lotto is well deserved of a play online lottery top pick. The website is simple to use though not as in depth as some. This simple ease of use makes it a great starting point for new players. You also get a feel that Conga lotto are a real ticket agent online so players with a fear of playing online should feel safe. To top that off. We liked their introductory offer, and feel with these points there has never been a better time to play online lottery. Here is the quick list. Simple easy to navigate website. Good introductory offer, best for new players. Your Conga Lotto. Your feedback, experiences and opinions? Have you already had experiences with Conga Lotto? Please let us know so other players can benefit from your experience with Conga Lotto.